Light-up Chanukah Sweater #WearableWednesday « Adafruit Industries – Makers, hackers, artists, designers and engineers! 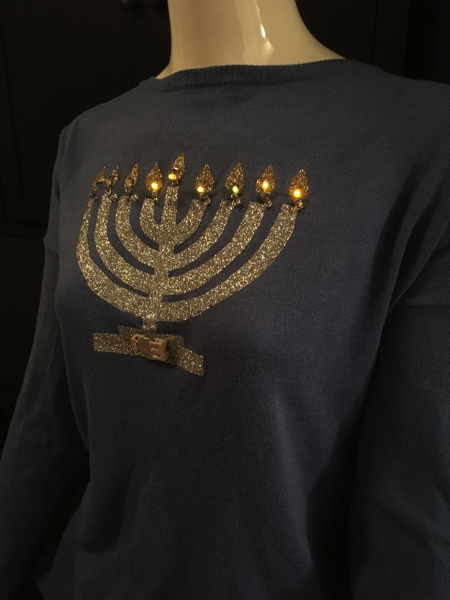 Its holiday party season and this year you can be the shining star of the party with a light-up menorah sweater! This is a sewn circuit project using relatively inexpensive materials that are easily found online and at the craft store. 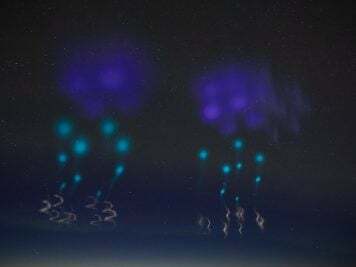 Even better, the project has switches for each “candle” so you can light up different lights for each night!